The LabNavigator handheld analytical meter is intended for laboratories, plants or the field. The GPS function allows users to streamline reporting and record time and date stamps with location. It can collect data from a wide range of sensors such as pH, conductivity and gas detection. 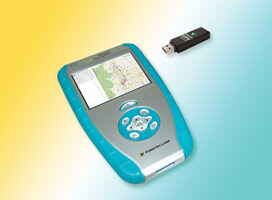 The LabNavigator graphics and analysis tab gives the user real-time graphing capabilities in a handheld device.